Predict the angles between bound atoms using the theory of valence shell electron pair repulsion (VSEPR). The steric number -- the total of other atoms and lone electron pairs bound to a central atom -- determines the geometry of a molecule. Lone electron pairs reside in the outer (valance) shell of an atom, and aren't shared with other atoms. While you can't use VSEPR to calculate bond angles, it helps determine those angles based on steric number. Only hydrogen has a steric number of one, and the H2 molecule has a linear shape. An electron orbits an atom in a characteristic shape determined by the most likely place to find the electron at any one time. Electrons repel each other because they all have negative charges, so orbitals give each electron the maximum possible distance from its neighbors. When a valence electron forms a covalent bond with another atom, the orbital changes in a process called hybridization. VSEPR predicts bond angles based on hybridized orbitals, but is not accurate for certain metallic compounds, gaseous salts and oxides. The simplest hybrid orbital is sp, corresponding to a steric number of two. The bond angle is linear, or 180 degrees, when the atom has no lone electron pairs. An example is carbon dioxide. Conversely, a nitrogen molecule has one lone electron pair. This gives it a linear shape but an unhybridized orbital and therefore it has no bond angle. A steric number of three leads to the formation of sp2 orbitals. The bond angles depend on the number of lone electron pairs. For example, boron trichloride has no lone pairs, a trigonal planar shape and bond angles of 120 degrees. 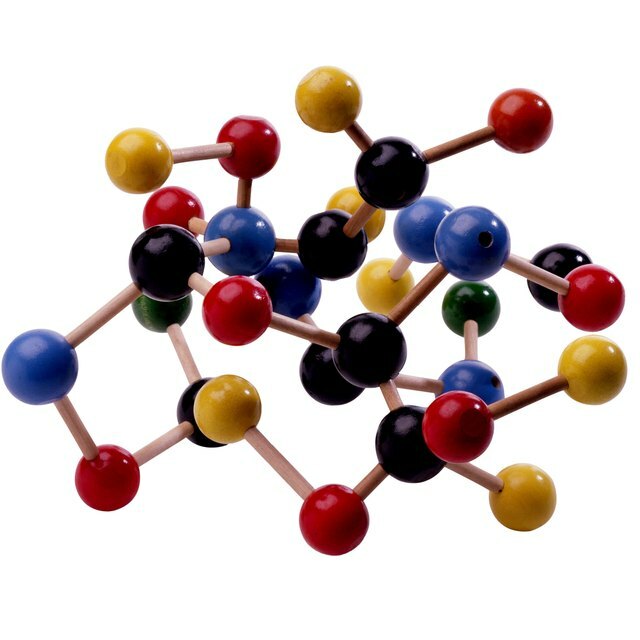 The trioxygen molecule O3 has one lone pair and forms a bent shape with bond angles of 118 degrees. On the other hand, O2 has two lone pairs and a linear shape. An atom with a steric number of four can have from zero to three lone electron pairs within an sp3 hybridized orbital. Methane, which has no lone pairs, forms a tetrahedron with 109.5-degree bond angles. Ammonia has one lone pair, creating bond angles of 107.5 degrees and a trigonal pyramidal shape. Water, with two lone pairs of electrons, has a bent shape with 104.5-degree bond angles. Fluorine molecules have three lone pairs and a linear geometry. Higher steric numbers lead to more complex geometries and different bond angles. In addition to VSEPR, complicated theories such as molecular force fields and quantum theory also predict bond angles. Bank,, Eric. " How to Calculate Bond Angles." Sciencing, https://sciencing.com/calculate-bond-angles-5946729.html. 22 May 2018. What Is the Difference Between Electronic Geometry & Molecular Shape?